Golf Course! 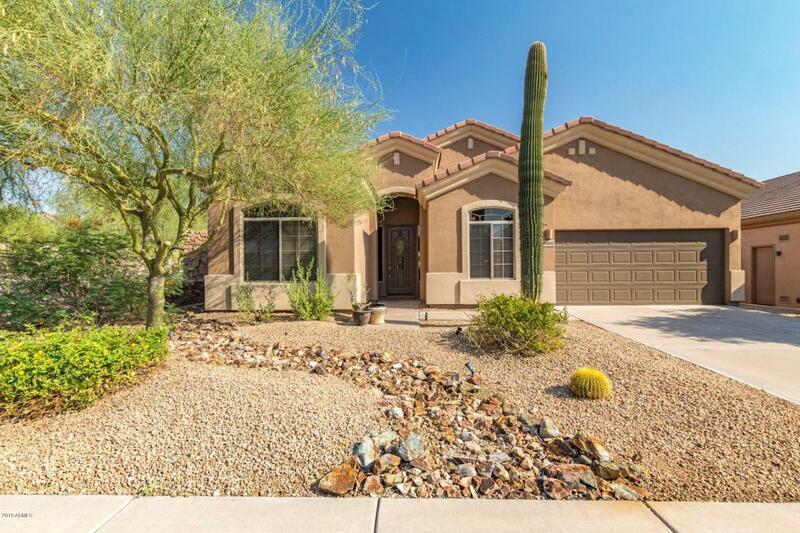 This beautiful single level three bedroom(could easily be 4 bedrm) , 2 bath is situated on a private, desert lot backing to a wash adjacent to Mcdowell Ranch golf course. 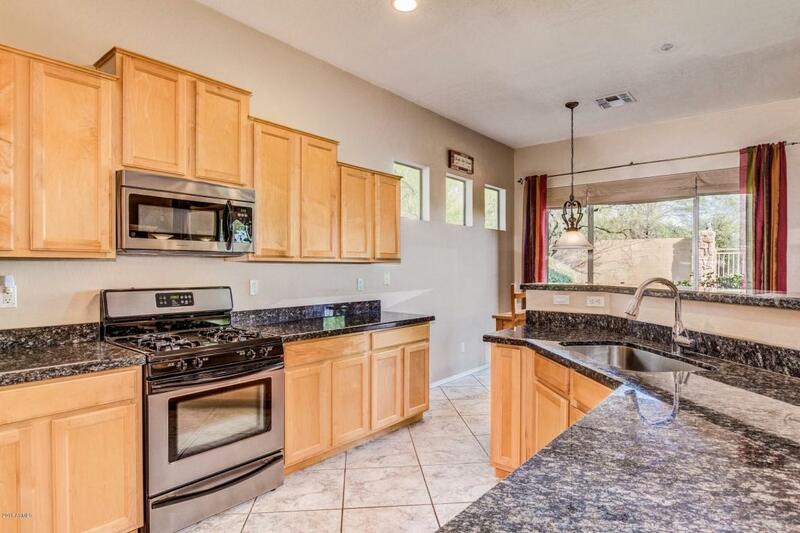 The interior features dark hardwood & neutral tile floors. The family room is open with large, dramatic windows and a great flow. The kitchen is complete with a breakfast bar, island, dark granite tops, stainless appliances, a walk in pantry and a breakfast nook. Open formal dining area off the family room. Spacious secondary bedrooms plus bonus room and full secondary bath. Spacious master bedrm has hardwood, ceiling fan/light. The master bath has tile with large walk in closet, dble vanity sink, separate tub/shower, and enclosed water closet. Outside offers a covered patio with seating space and pleroom to Bbq and relax. Yard is complete with waterfall and view fencing to enjoy your private lot. 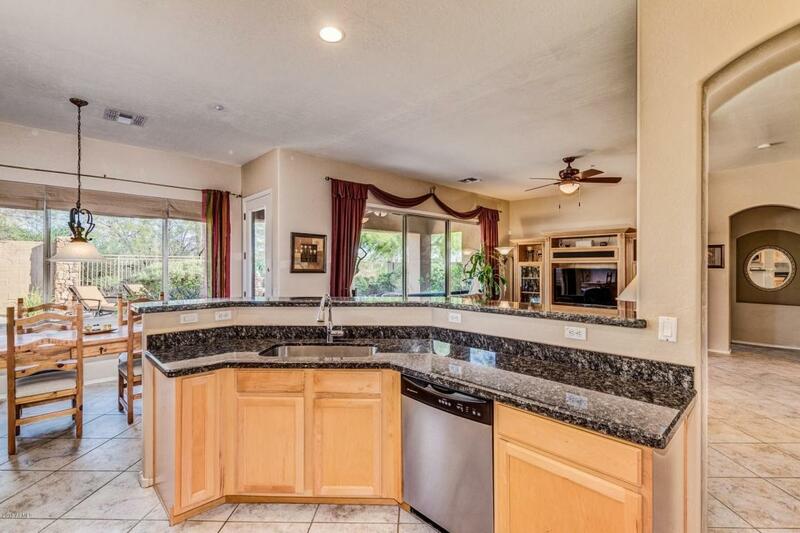 McDowell Mountain Ranch offers a abundance of amenities and is adjacent to the preserve. 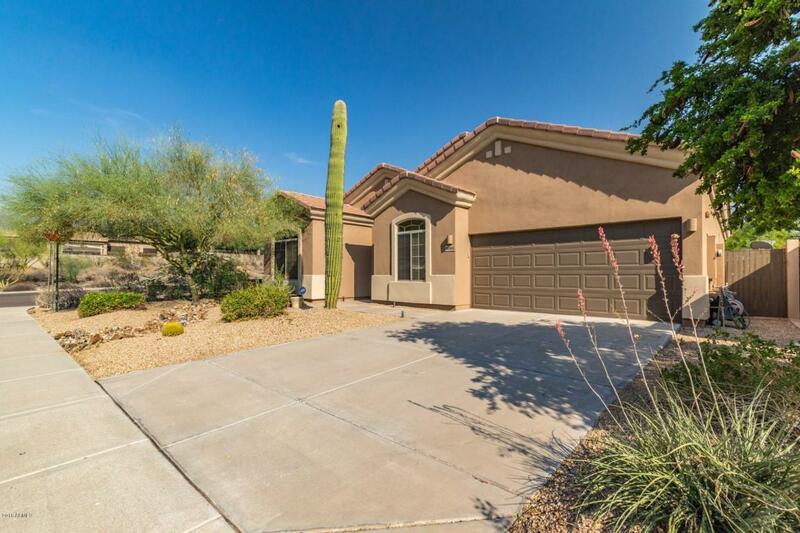 There are several hiking trails, contineous walking paths throughout community, award winning schools, community pools, community events, aquatic center, little shops and restaurants and Mcdowell Mountain Golf Club and course is right around the corner from your new home!